The Ludwig Engineering, Inc. planning team assists developers, investors and land owners to add value to their properties by managing the forward planning process and obtaining governmental approvals to maximize development potential. We specialize in obtaining approvals for zoning, general plan amendments, tentative tract maps, commercial and industrial site approvals and can provide the daily project management and support investors and developers need. 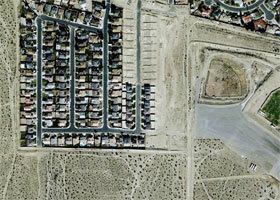 The project was a 1,700 acre, 3,856 unit master planned community. The property was originally a large orange grove in foothills with no infrastructure. Ludwig designed the master planned sewer and water system including wells and reservoirs; designed and processed tentative maps; obtained entitlements; designed streets and utilities, recreation facilities, schools, elaborate landscaping, a roadway fill dam, a large debris basin, storm drains, channels, a lake and a bridge. We also performed all surveying and construction staking. A 573 acre, 1,830 lot single family residential community for Canaday and Company. Ludwig designed the master planned community, parks and commercial uses including a specific plan, a master parcel map, and preparation of tentative tract maps and applications. 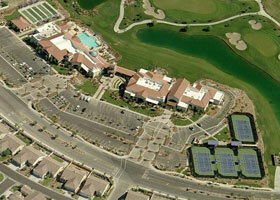 The project was an 1,100 acre, 3,500 lot active adult residential golf course community for Del Webb/Pulte Homes. The work included land planning and preparation and processing of two specific plans and three tentative maps and support for environmental documents and final engineering for 14 tracts. The project included 18-hole championship and 18-hole executive golf courses, two recreation centers, clubhouse and golf maintenance facilities, multiple well sites, bridges and golf tunnels, sewer lift station and a regional drainage channel designed for a 31,000 c.f.s. flow rate. The work included construction staking. A 217-lot subdivisions in the steep foothills of East Highlands Ranch for Spring Pacific Properties. Thirty foot difference in elevation between many lot pads, maximum street grades, many potential drainage problems, adjacent to San Andreas Fault. Tract was designed to handle flood flows in streets with no major storm drain system which saved the developer considerable cost. More than 700,000 yards of earthwork were moved and the earthwork balanced on-site. Also designed pump station and a reservoir to serve the development. Homes built by Trimark Pacific Homes and Standard Pacific. Work included construction staking utilizing GPS from a digital grading plan we created which the grading contractor used to guide his earthwork equipment that was equipped with GPS.